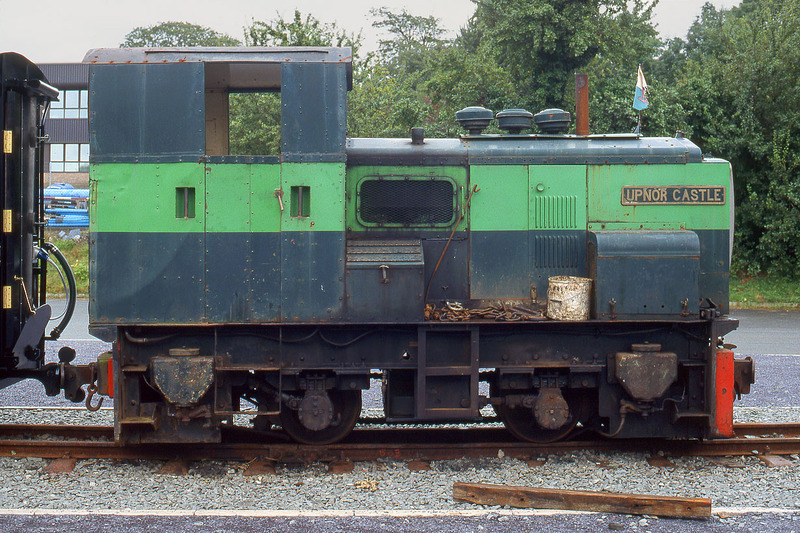 1954 built Hibberd 0-4-0 diesel loco Upnor Castle is pictured at Dinas on the Welsh Highland Railway (Caernarfon) on 7 August 2002. The loco had previously spent nearly two decades on the nearby Ffestiniog Railway. This side view clearly shows the chain drive and the large sand boxes.